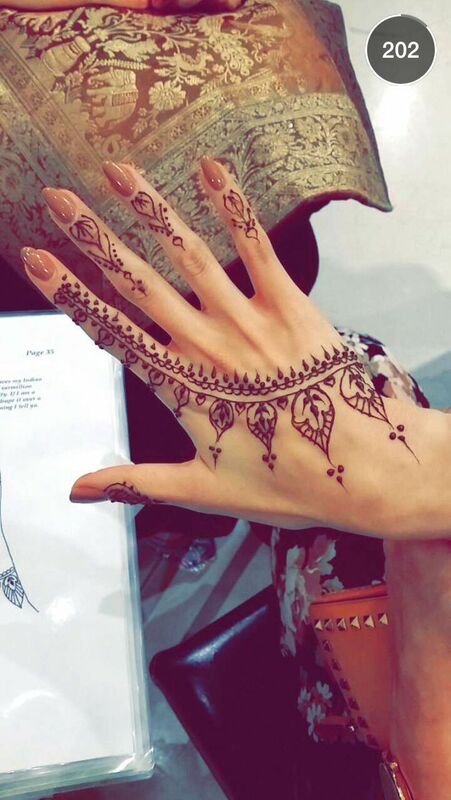 Check out 15 intricate as well as simple mehendi styles for Eid-ul-Fitr’ 2015. Celebrate the occasion with gorgeous looks and henna-clad-hands! Mehendi clad hands on Eid is an ultimate way of celebrating the festival with great fervor. Have you decided on the design yet? If not, then no need to worry. Zuri has shortlisted 15 awesome intricate as well as simple mehendi designs for Eid-ul-Fitr. From Pakistani to African to Arabic styles, some with embellishments, while a few others represent minimalist theme. Besides, Eid is all about spreading happiness, gorging on sweet sewayian and exchanging greetings. So, how can we imagine ladies having all the fun without mehendi on their hands or/and feet? Some of the mehendi patterns are easy-to-do at home. So, if you have already decided on the outfit for the day and your makeup is also pretty much sorted then all you got to think about is which mehendi design to go for. Should it be inspired by monsoon motifs or you would rather stick to a traditional one. But, if you are tired of the typical conventional designs, then add a bit of quirk, which is much in vogue these days. And if you are among those who just decided to take part in the Eid festivities at the very last minute, even then there is no other and better way to decorate yourself in minutes without having to worry about the outfit, makeup or your hairdo. . I absolutely love wearing mehendi. I usually go for lavish and more elaborate designs during Eid, Diwali and other festivals. However, you can also opt for much simpler styles. Those designs that require very less time and usually involve one or two strands, more like floral vines on the palms and the back of your hands. So, who says, getting mehendi done is too time consuming? Now, all you got to do is just about add a hint of color to the hands without opting for any kind of clutter or filling them up. 1. Thumb and index finger: Go for a simple yet quirky mehendi design which involves the thumb and the index finger. Simple and quick, also easy on your pocket! Not just a good design for Eid but pretty awesome (if done properly) for your engagement function too, because it’s that time of one’s life when all the attention and focus is on the hands. 2. Shot floral designs: If like me you too are into floral designs then here is another interesting idea. Go for a small little flower or a floral vine on your feet. This short, sweet and simple mehendi design can be done by anyone on any occasion. Ladies! Don’t forget to wear some makeup on your eyes, try out an amazing nail art design that compliments your mehendi design and just look gorgeous on the D-day!